Thailand was overrun in a single day. The total occupation of Malaysia was followed by the disastrous surrender of Singapore. Most of the Philippines were lost after fierce fighting that continued for some time on Bataan and Corregidor. General Hisaichi Terauchi, commander of the Southern Expeditionary Army Group, began the campaign against the Dutch East Indies with attacks against Borneo: on 17 December. After the main objectives in Borneo were completed, the Japanese forces planned a three-pronged assault southward using three forces named as Eastern Force, Center Force and Western Force. The aim of this assault was to capture the oil resources in the East Indies. The Eastern Force was to capture Celebes, Amboina and Timor while protecting the Center Force’s flank. The Center Force was to capture oil fields and airfields in Tarakan Island and Balikpapan. Both these forces would support the Western Force, which was to attack and capture the vitally important Palembang refineries in southern Sumatra, the only ones that produced aviation grade fuel and lubricants. Mid-February 1942 all these objectives had been reached. From airfields in southern Borneo and Sumatra the Japanese Air Force sent marauding planes all over Java and Sumatra to bomb known airfields, port installations and communications centres. The only hope for the Allies to halt the rapid Japanese conquests in south-east Asia was a unified command of all Allied armed forces in that area. As a result the ABDA (American British Dutch Australian) Command was established on 15 January1942. Its task was to co-ordinate the military efforts of the four nations in the ‘Malayan Barrier’. Lieutenant General Sir Archibald Wavell was appointed as its commander in chief, responsible for the defence of Malaya, Singapore and the Dutch East Indies. It was not a successful undertaking. It soon became obvious that CinC Wavell was running up an incredible streak of bad luck. He first lost Libya in North-Africa to Field Marshall Erwin Rommel’s Afrika Corps. Then he lost Greece and Crete to the German forces commanded by Marshall Albert Kesselring. Churchill relieved him of his command and made him commander of the British troops in India. Casting around for a commander of sufficient seniority he was chosen as C in C ABDA Command. But on the night of February 10, 1942 Wavell´s personal bad luck struck again . He was about to board a flying boat in Singapore but got out of his car on the wrong side and fell down the pier, breaking two bones in his back. The injury prevented him from really taking charge of his chaotic command. When ABDA Command was dissolved two weeks later, Wavell was re-assigned to the post of C in C India and was elevated to the position of Viceroy of India during the summer of 1943. The invasion of Java began in the night of March 1, 1942 , when elements of the 16th Japanese Army landed at the West Java Coast near Merak. A section from Captain F.A.M. Harterink’s 12th KNIL Infantry Battalion machine-gunned the invaders but their position was quickly overrun and the defenders were all killed. At dawn on March 1 saw the last Allied air strike in Java. Three KNIL Glenn Martin bombers took off, escorted by a handful of Brewster Buffaloes and RAF Hurricanes, in a heroic effort to attack the Japanese beachheads. But sadly enough the suicidal attack failed to halt or even significantly delay the Japanese advance. At noon that same day and despite a tenacious defense carried out by 350 British troops, the Japanese invaders occupied the crucial Kalidjati fighter field (situated between Bandung and the north Java coast). Japanese fighters arrived the next day, enabling the Japanese to establish standing patrols over the battlefield. The fighters strafed the Dutch and Allied forces continually while the Japanese army was steadily driving them back. On March 4, General Ter Poorten ordered his remaining forces to retreat and regroup around Bandung and ordered Surabaya in East Java to be evacuated. The Japanese East-Java invasion army had force marched right across Java from their beachhead in Kragan. 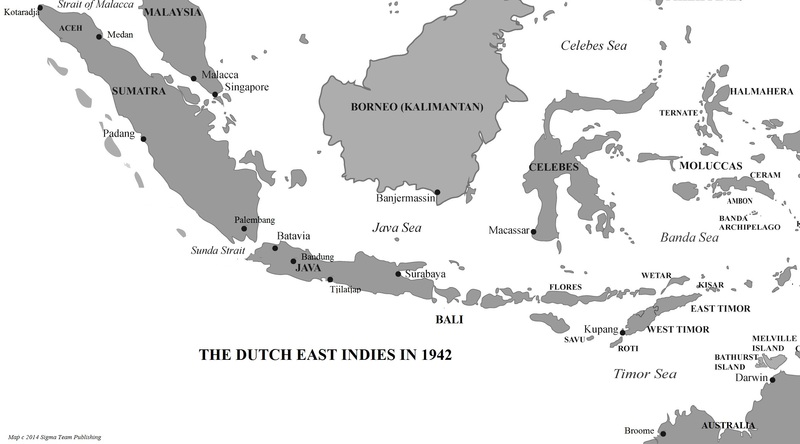 They cut off and isolated the remaining allied troops in East-Java and, on reaching the south coast, occupied Tjilatjap, the last Allied deep-water port. By March 7, Japanese troops were rapidly converging on Bandung from both the north and the west. That day four Brewster Buffaloes took off on what would be the final fighter mission by the Dutch but failed to reach the front. His last fighter cover gone, General Ter Poorten knew defeat was inevitable. He told his surviving troops on March 8 to lay down their arms and announced the surrender of the Royal Netherlands East Indies Army in Java. 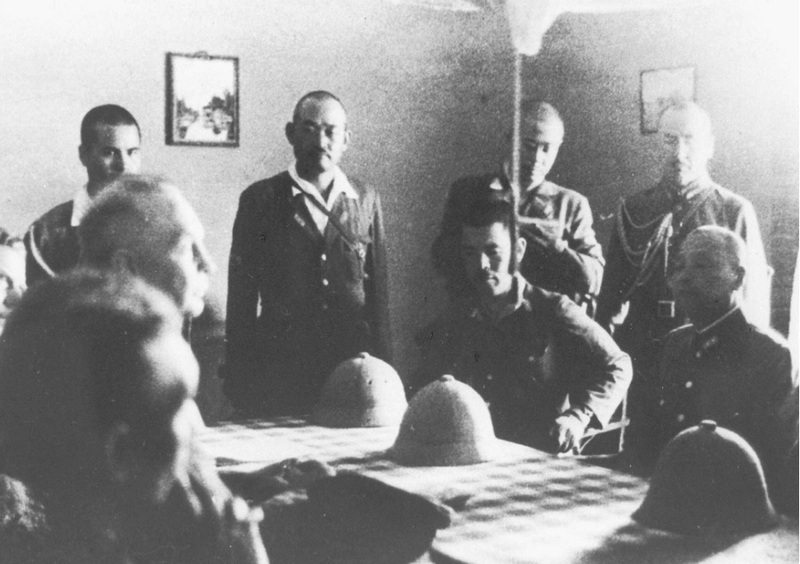 The next day Ter Poorten, General Pesman and Governor-General Tjarda van Starkenborgh went to Kalidjati airfield to sign the formal surrender documents under the watchful eyes of General Hitoshi Imamura.